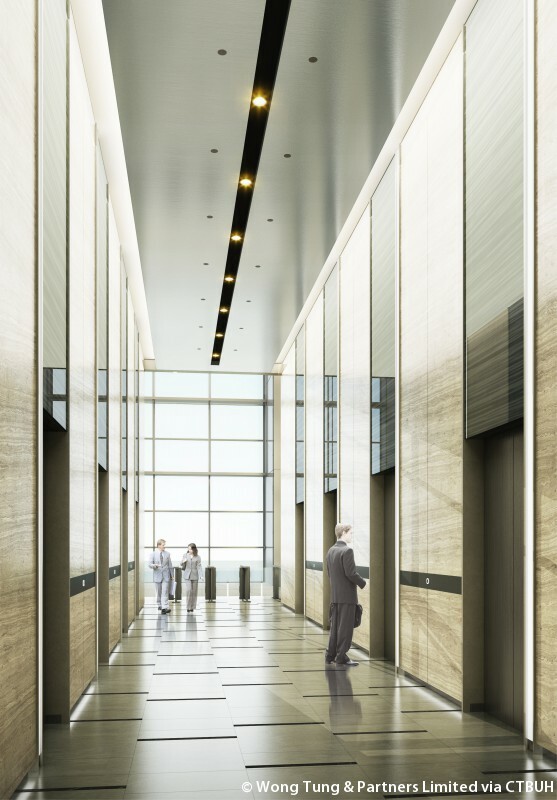 Main Contractor China Construction Second Engineering Bureau Ltd. 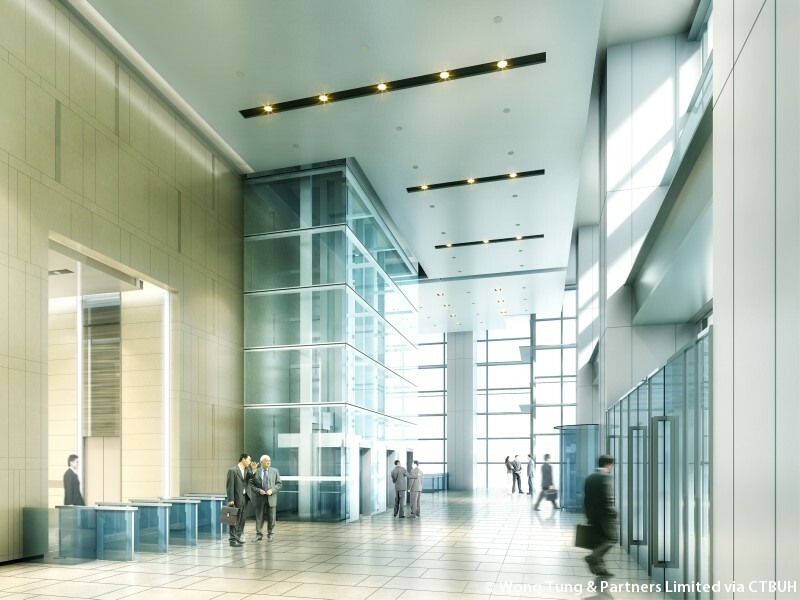 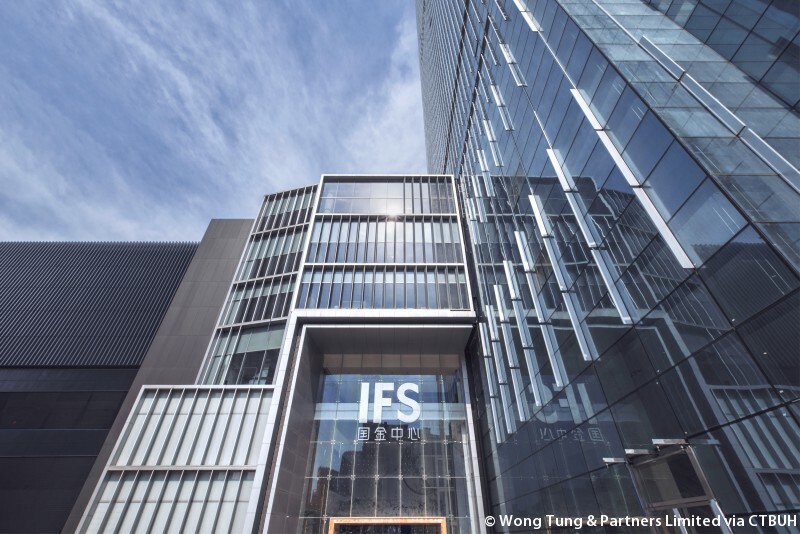 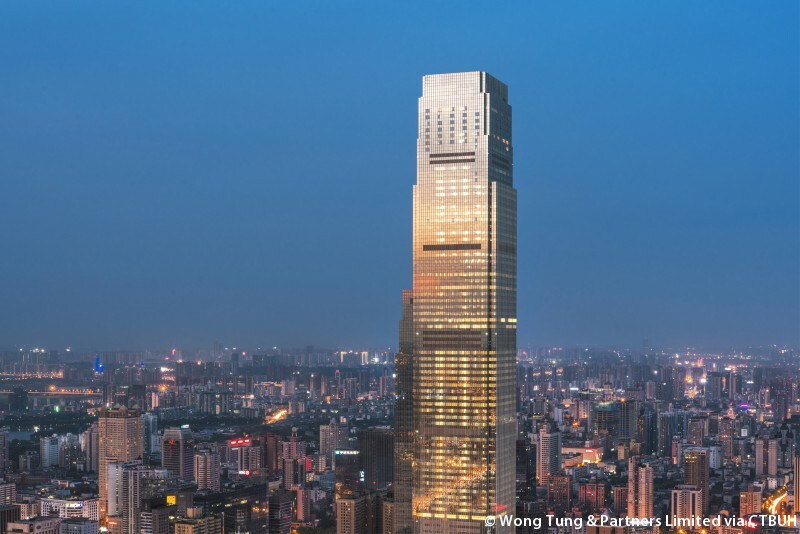 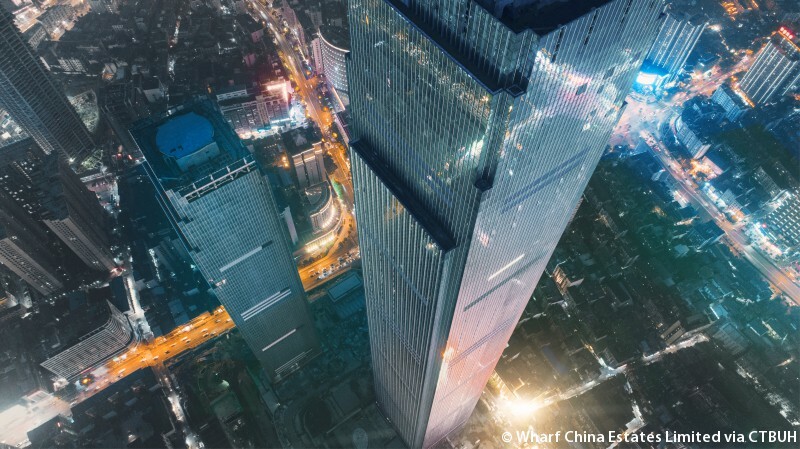 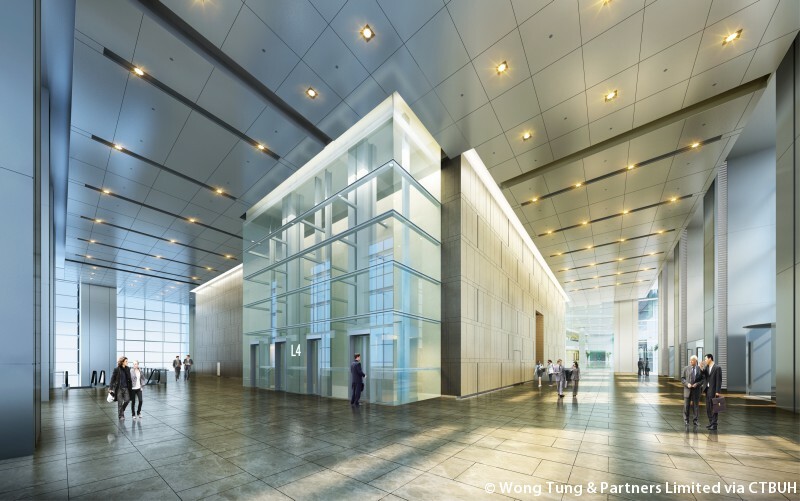 Ideally located in the prime area of Jiefang Road in Furong District, the Changsha IFS Tower T1 complex is well positioned to achieve its primary purpose of attracting a myriad of financial institutions based in Hunan Province. 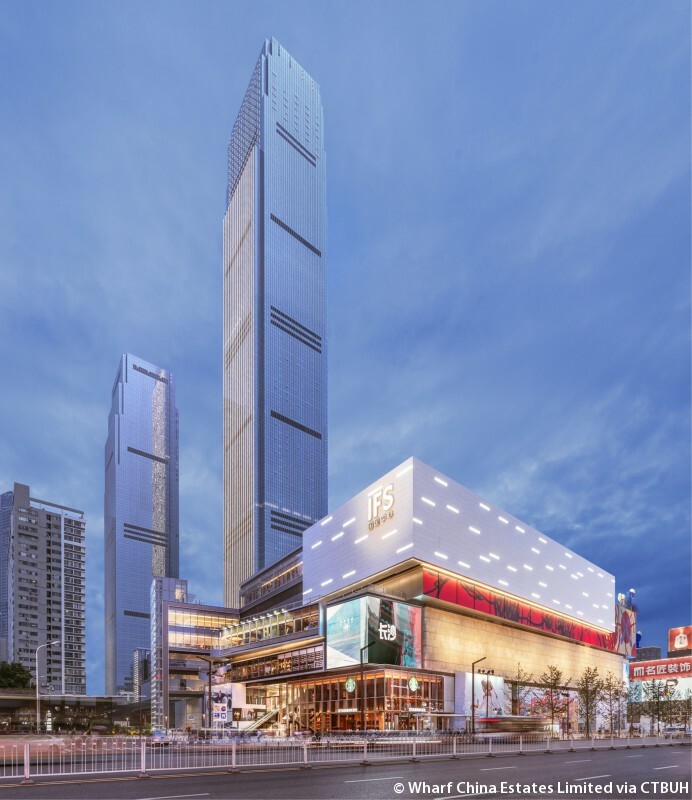 This twin-tower development is based on Harbour City, a hyper-connected retail development in Hong Kong. 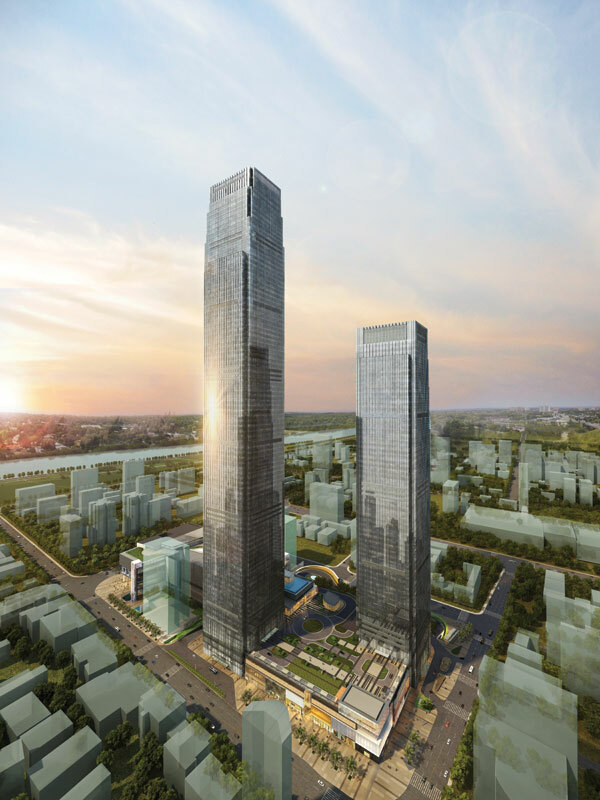 The Changsha complex will sport an underground network of linkages to a future interchange hub (Wuyi Plaza Station) for metro lines 1 and 2. 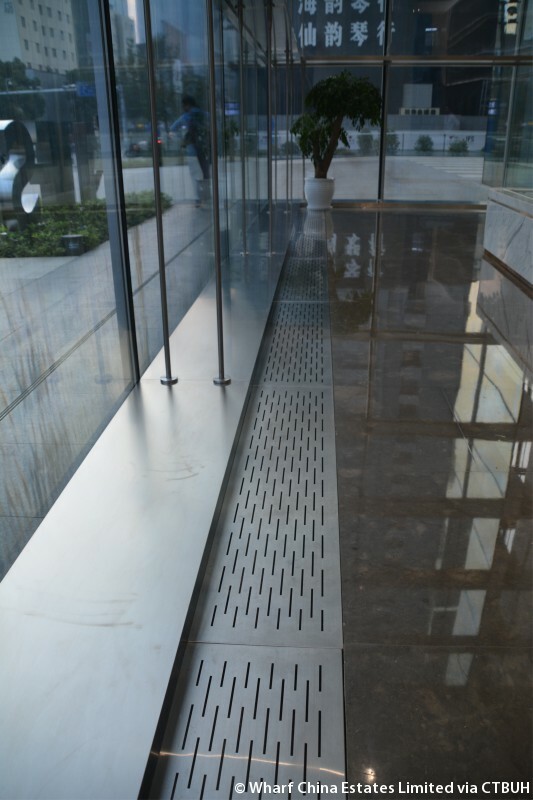 The same underground passageway will connect with one of the busiest pedestrian streets in China — Huang Xing Pedestrian Shopping Street. 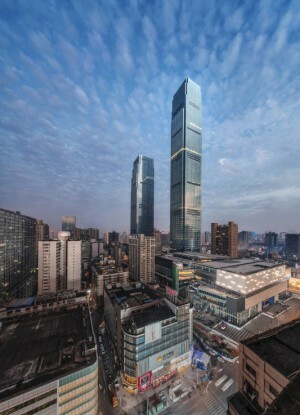 The development features two supertall skyscrapers, with Tower 1 rising 452 meters and Tower 2 rising 315 meters. 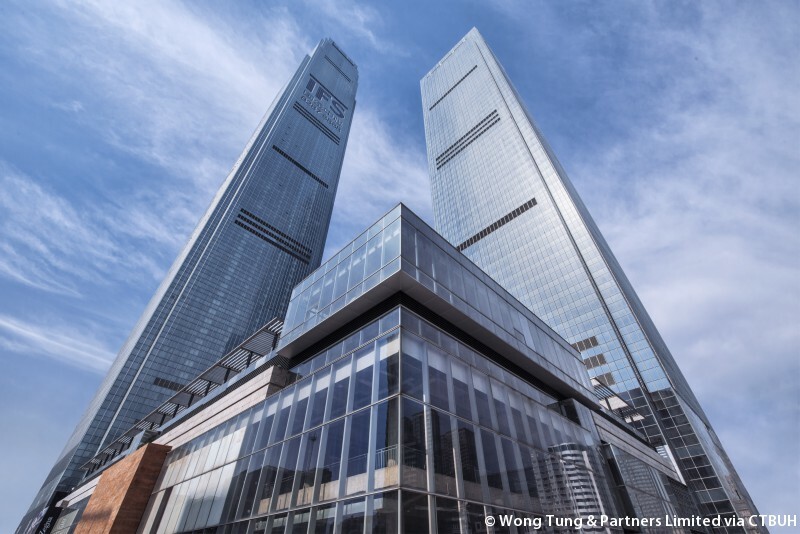 The rectangular form of the glass-clad towers is neatly interrupted by a series of metal fins that add a hint of complexity to their appearance and reduce glare for the interior office spaces. 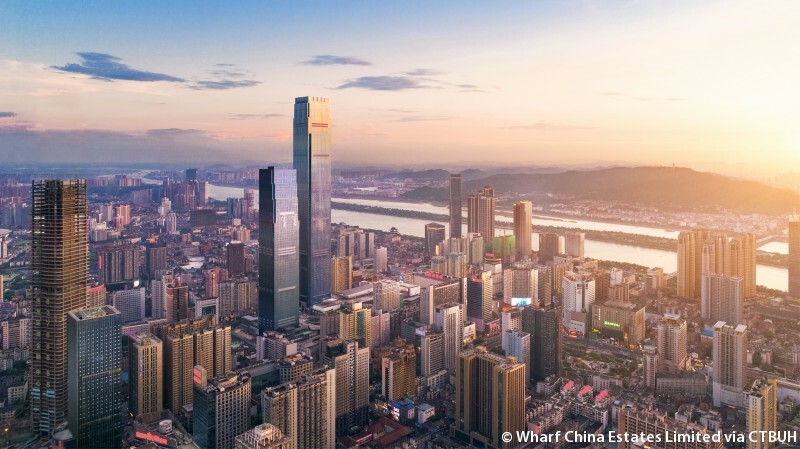 Tower 1 features a crown that incrementally sets back by several meters at three points, downplaying its extreme height and cementing its relationship with the second tower. 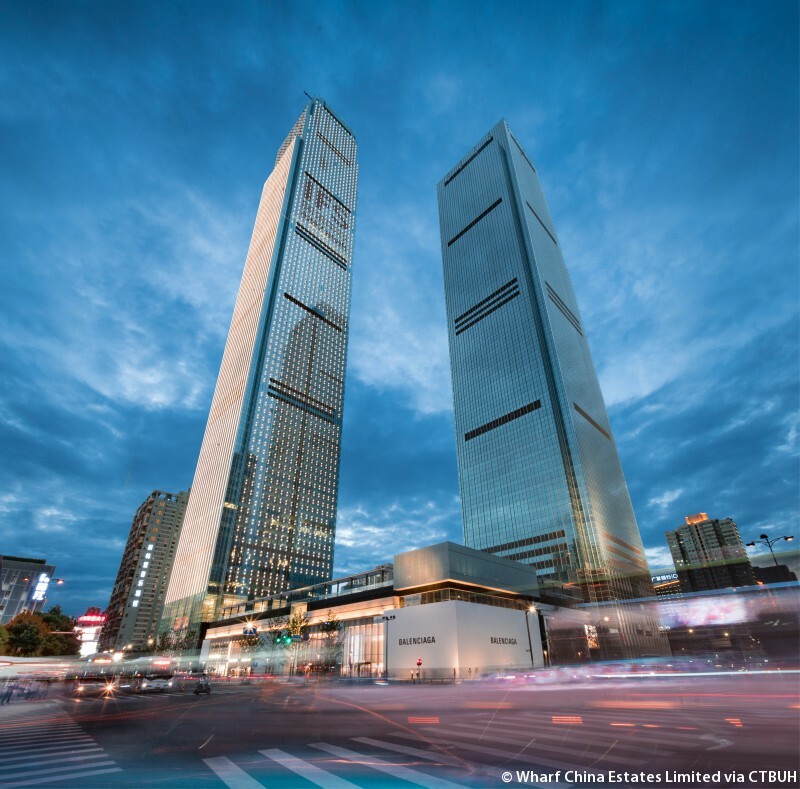 Like many towers that break the 400-meter barrier, reduced floor plate sizes at the top are best suited for hotel uses—with guest willing to pay a premium for accommodations at such heights. 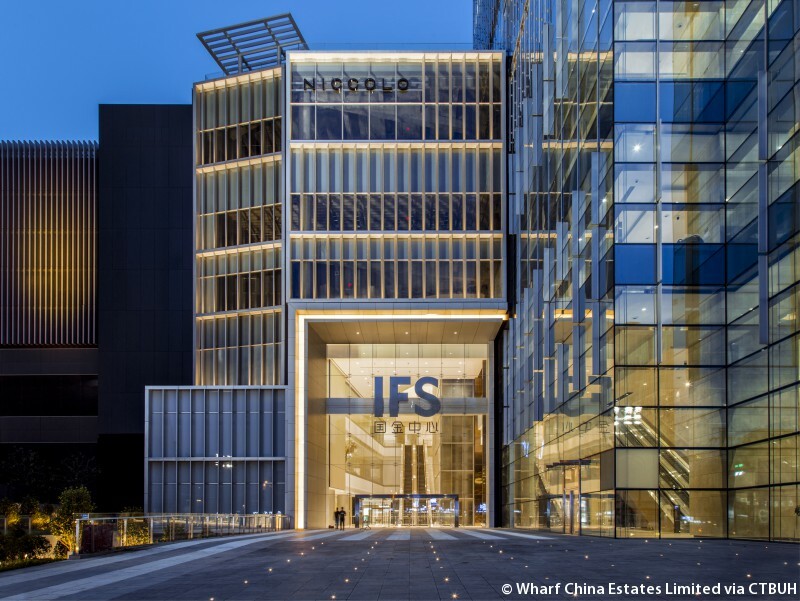 At the base, a block-sized podium contains a mega mall of 230,000 square meters, generating triangulation between the office uses above and transportation infrastructure below. 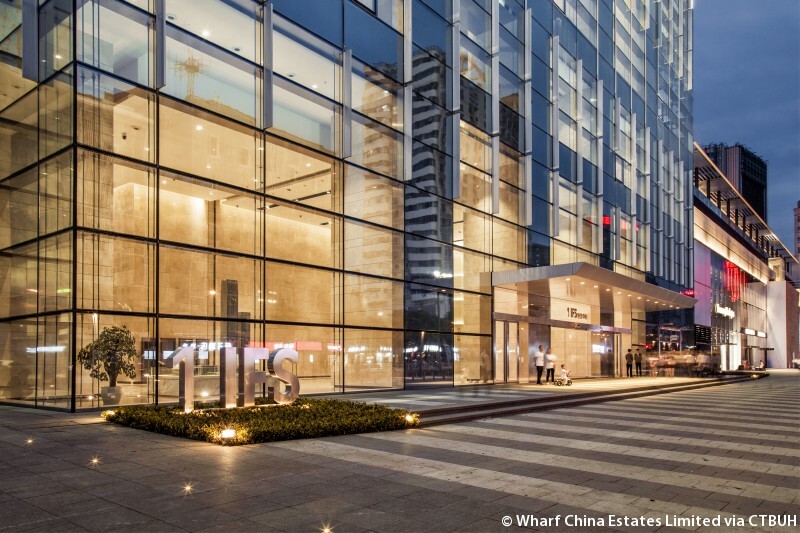 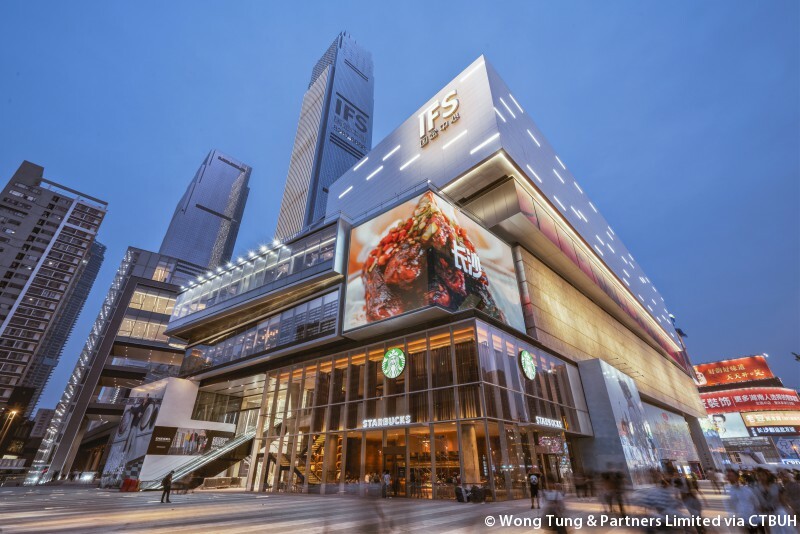 Changsha IFS Tower T1 also has 700 meters of retail street frontage, greater than that of its likeness, Harbour City. 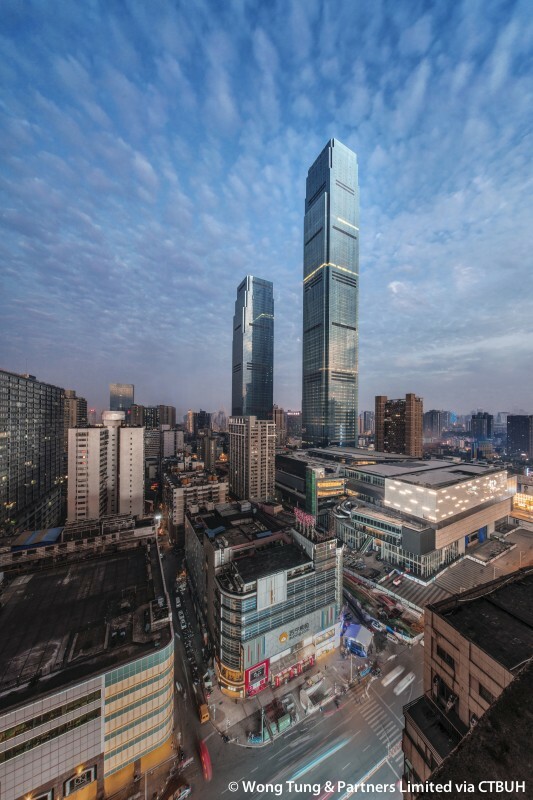 The retail mall, among the largest in Changsha and Central China, offer s amenities spanning entertainment, lifestyle, culture, and dining under one roof. 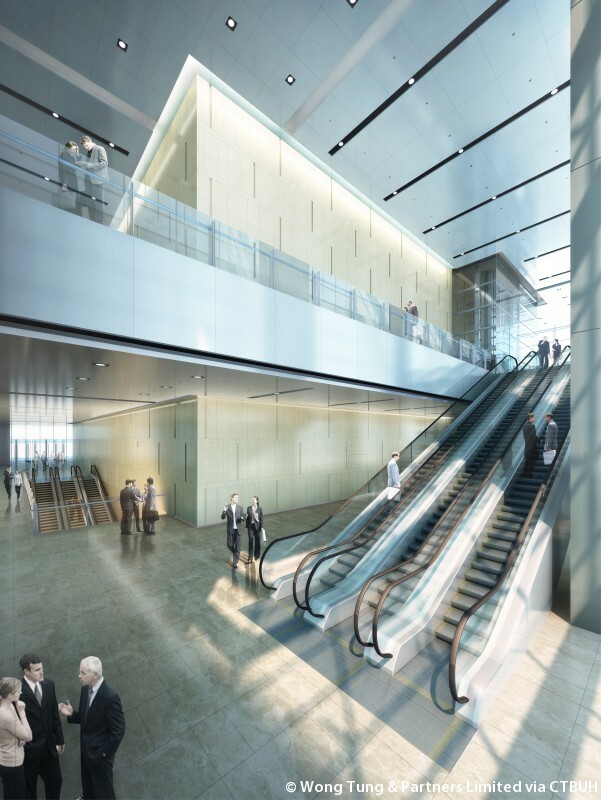 This important shopping will provide critical activity to the larger development, and the district as a whole.